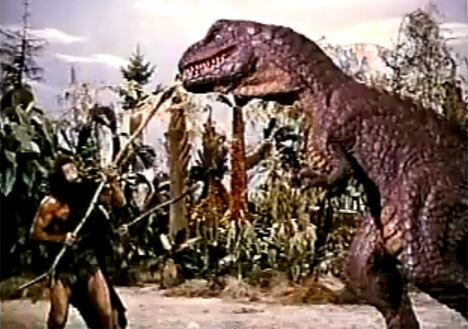 Ray Harryhausen is known as a Hollywood special effects legend. His stop-motion animation method (which he dubbed “Dynamation”) has given a distinctive look to tons of horrifying monsters over the course of his very long career. Some of Harryhausen’s best-known films are Jason and the Argonauts (1963), The 7th Voyage of Sinbad (1958) and Clash of the Titans (1981). In this short film, all of Harryhausen’s monsters come out to play. His creations are cut together into four and a half minutes of chronological monster madness, ranging from his earliest films to his most recent works. For their relative low technology, these monsters still look way better than some of the shamefully poor CGI stuff we’ve seen in recent movies. See more in Vintage Videos or under Vintage & Retro. July, 2011.